The school motto “Sarbat Da Bhala’ implies that the institution believes in the welfare of society without any distinction of caste, creed, race or social status. Founded in April 1994 and christened after the great Saint Soldier Guru Gobind Singh Ji, St. 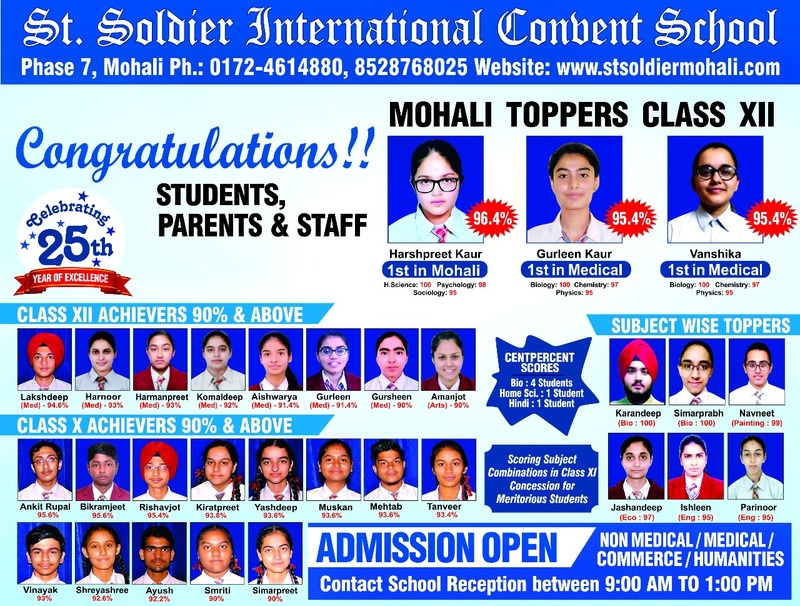 Soldier International School is an English medium Co-educational Senior Secondary Institution. 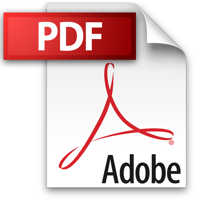 It is affiliated to the Central Board of Secondary Education, New Delhi (Affiliation Code: 1630173). 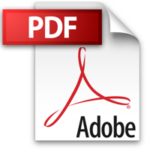 The school occupies a place of pride among the educational institutions of Mohali and is managed by St. Soldier Educational Society. 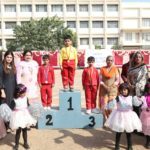 Athlokidfest 2017 was organized by St. Soldier Int. 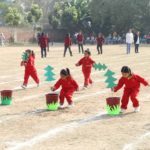 Convent School, Mohali on December 2, 2017 in which students of Classes Play Group to III participated enthusiastically. The synchronized March Past by the students of Classes VI and VII, led by the NCC cadets was a delight to watch. A vibrant bunch of tiny tots walked past spreading social awareness and communicated their messages through banners and placards. 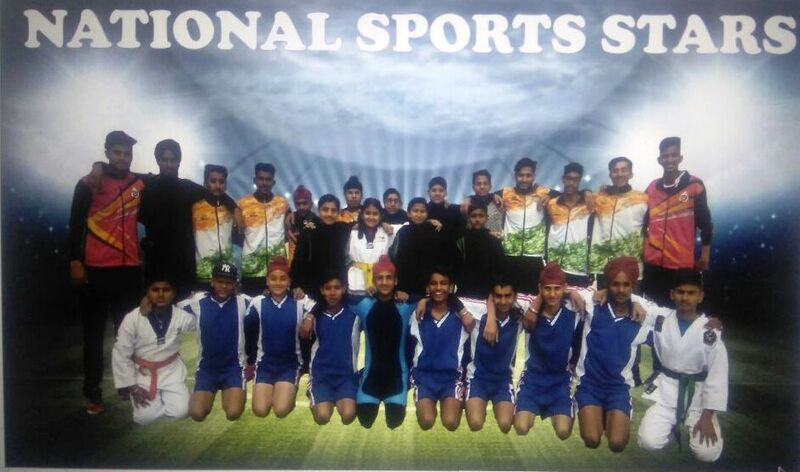 This was followed by the arrival of the torch which was carried in succession by eminent sports persons of the school who have reached the National Level- Harman Saini (Table Tennis), Manjinder Singh (Skating), Armaan (Wrestling), Hemjit Singh (Hockey), Raj Kumar(Basket Ball), Lovepreet Singh(Basket Ball), Preetkaran Singh (Volleyball),Jobanjit Singh (Kabaddi). 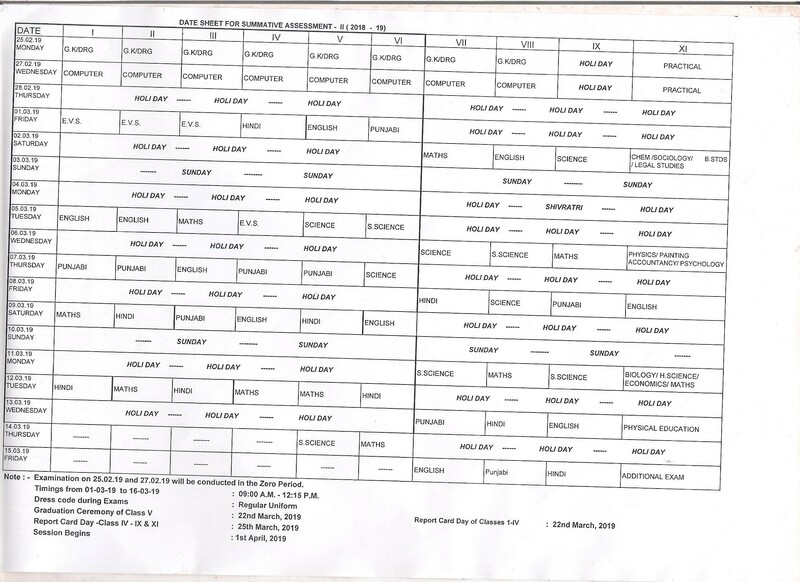 Director of the school S. Karandeep Singh Brar declared the meet open. 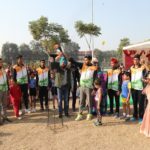 The participants exhibited tremendous amount of zeal and spirit to fight to the finish in all the fun races which included the Pyramids Race, Plant a Tree Race, Froggies Race, Dwarf Race, Sack Race, BBB Race (Balloon Bag Balance), Funny Bunny Race and so on amidst cheers from their parents, teachers and friends. The Taekwondo Drill showcased the self defense techniques. 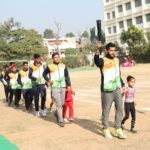 The marshals enthusiastically displayed the Korean Martial Art Taekwondo with vigour and zeal.The day also had a yoga flavour as the students displayed different asanas. 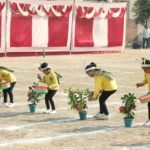 Drill Display, Zumba Dance, Charlie Chaplin Dance, Lilliput Dance, Jai Ho Dance and Bhangra were the main attractions of this mega event. In the end , chairman of the school S. Karnail Singh Brar awarded the achievers of Athlokidfest 2017. The day witnessed great spirit of participation, healthy competition, exciting victories and near misses. Principal Vinender Tiwana applauded the students and teachers for this high spirited event.